Niacin, also known as vitamin B3 or Niacinamide, is a water-soluble vitamin which prevents the deficiency disease pellagra. It is an organic compound and is derivative of pyridine. The terms niacin, nicotinamide, and vitamin B3 are often used interchangeably to refer to any one of this family of molecules, since they have a common biochemical activity. Niacin (Vitamin B) is part of a coenzyme needed for both energy and carbohydrate metabolism. 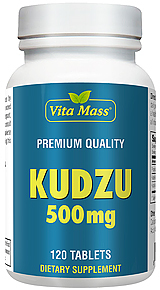 This nutrient is important for maintaining cardiovascular wellness, nervous system health, digestive function and skin. It was first discovered when scientists were looking for the cause of pellagra. It is absorbed in the small intestine and excreted in the urine. The human body uses niacin in more than 50 chemical reactions. It is needed by the body to extract energy from fat, carbohydrate and protein. It is a natural cholesterol regulator, and often works as well as prescription medications for persons with mild cholesterol problems. This formula uses inositol hexanicotinate, the form of niacin that has shown promise in lowering LDL levels of cholesterol. Like all members of the B family, niacin plays a role in energy metabolism. Inositol hexanicotinate functions as niacin, but does not cause the flushing, tingling and itching effects common with use of standard niacin, many people find these side effects to be uncomfortable. Inositol hexanicotinate consists of niacin molecules surrounded that is bound to inositol, it is slowly meta-bolized by the body, releasing niacin over a period of time. In clinical tests, it has been found to be more effective than niacin to lower blood cholesterol levels. Does not contain: Gluten, Wheat, Milk or Milk Derivatives, Lactose, Soy, Egg, Grapefruit, Fish, Sweetener, Sugar, Preservatives, Artificial Color, Artificial Flavor, sodium.